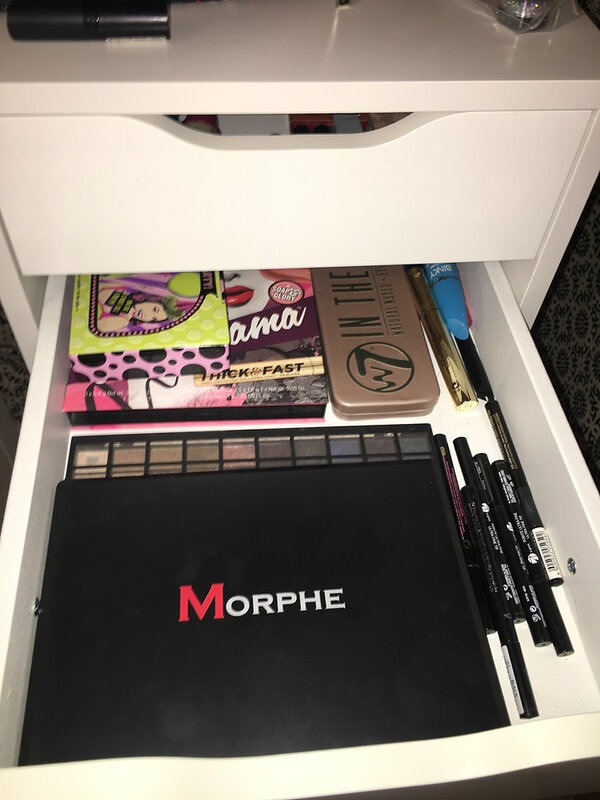 If you are like me and have a bit of an obsession with makeup, then you will understand my struggle for finding somewhere to store it so its all in one place and organised, I thought I would share with you how I store my makeup to keep it all together neatly! Also includes others such as hair care, skin care etc. 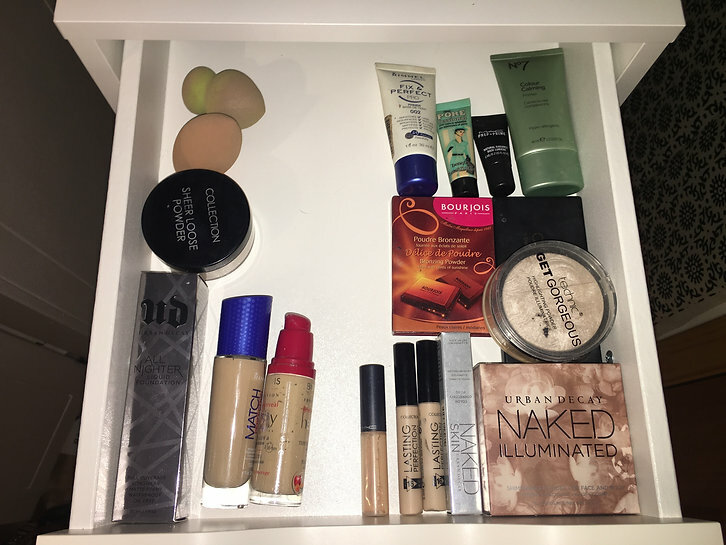 In the first drawer I keep my foundations, concealers, contouring makeup ect. 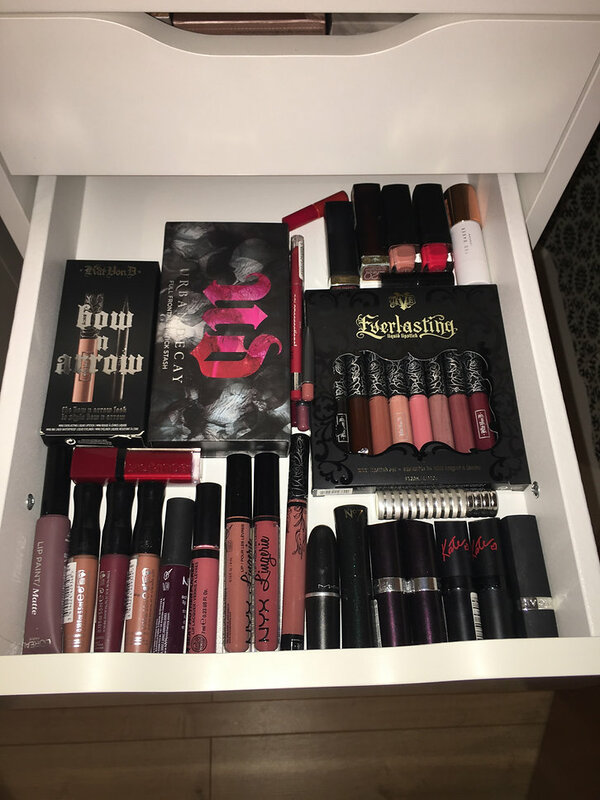 I don’t have too much in this drawer but my collection is growing haha! 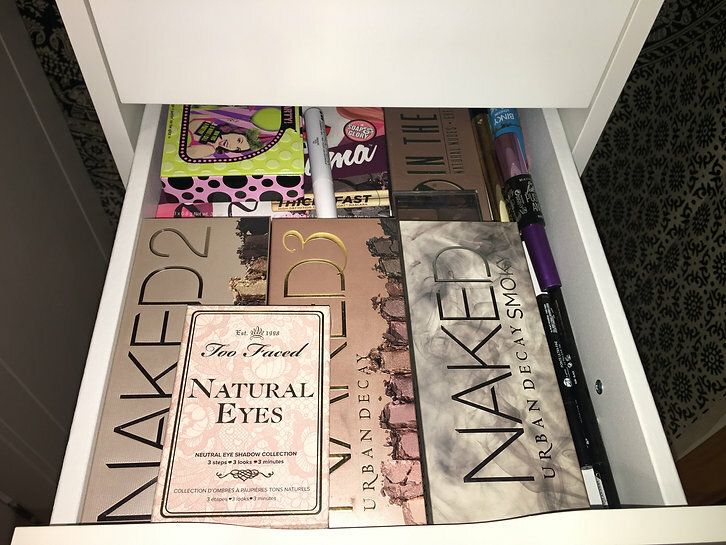 In the second drawer I keep my eyeshadow palettes. My collection of which, has grown quite large in the last few months. Before that I didn’t really have much eyeshadow because I always just thought I couldn’t do it but after trying and testing I am slowly getting the hang of it and trying out new things! If you see any of these that you would like a review of feel free to get in touch! you can also see some of them in my “What I got for Christmas 2017” post. 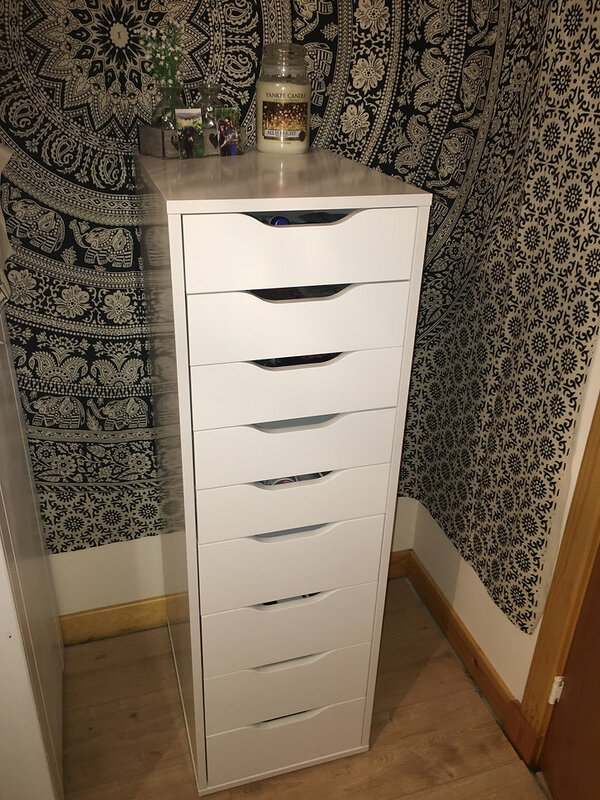 I also have my eyeliners/mascara and eyebrow makeup in here. 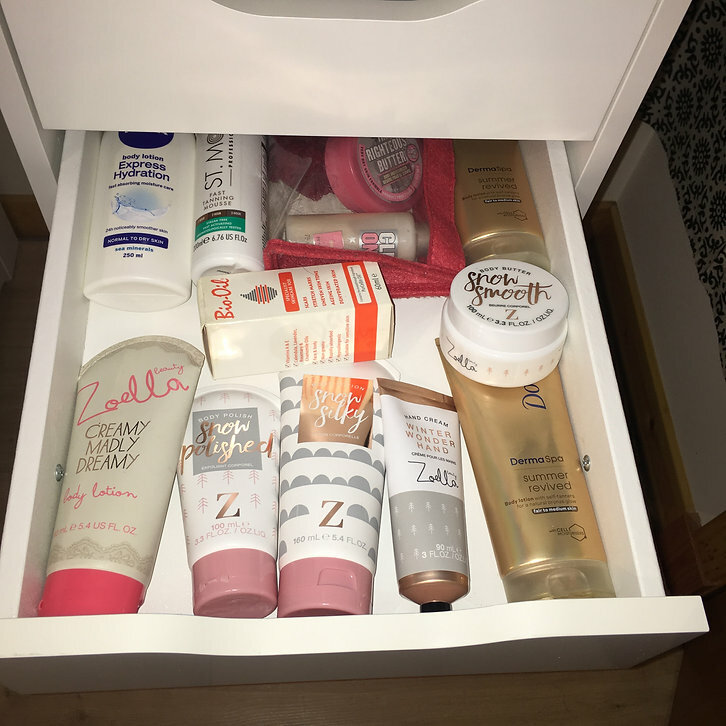 So far my fourth drawer is empty, In my fifth I have my skin care bits which includes things like body lotions, moisturisers, hand creams , body butters, self tanning mousse ect. The next drawer again is empty, I have a few drawers that are empty as you can tell but since these drawers are fairly new I just haven’t decided where to put things and where I want everything so far. 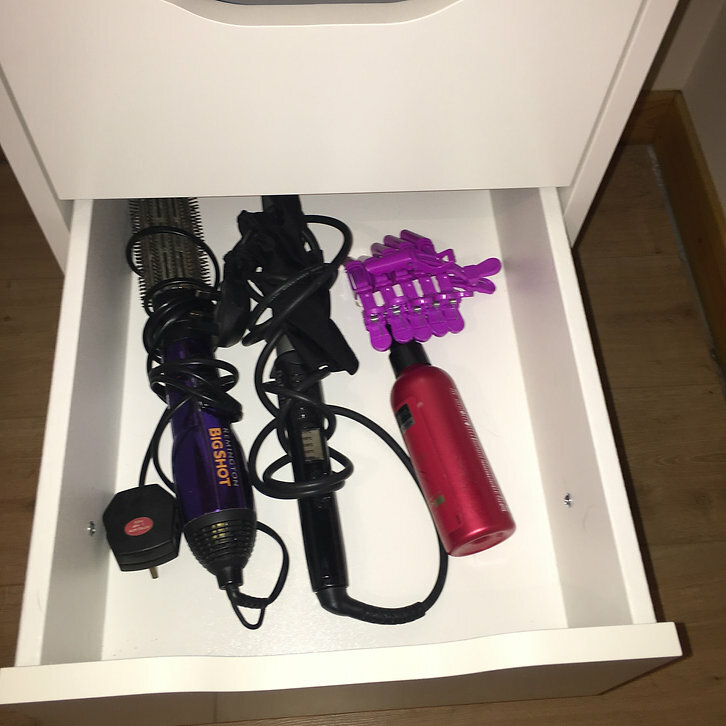 The last drawer I have used for my underwear drawer, as my room is quite small and I don’t have too much storage this works really well. 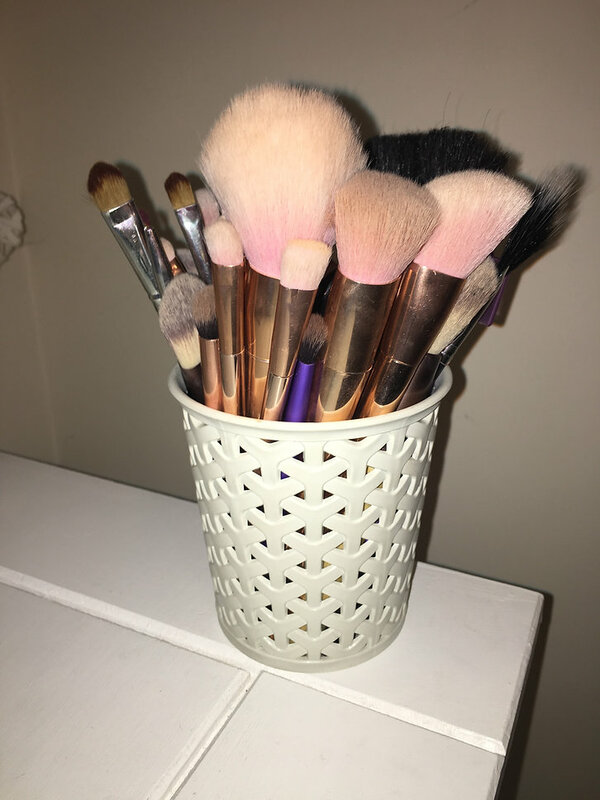 Lastly I just thought I would show you where I keep my makeup brushes since this is about my makeup. I keep them in these really cute (and very cheap!) rattan style pots which you may have seen in my previous posts.